Photos from various performances & events are posted throughout The Shed web site! 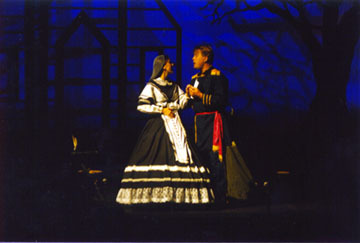 Art Hansen and Kelly Rector sing a duet. 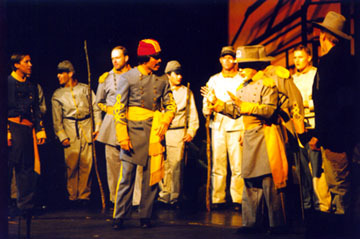 Major Johnston confers with Gen. Beauregard. 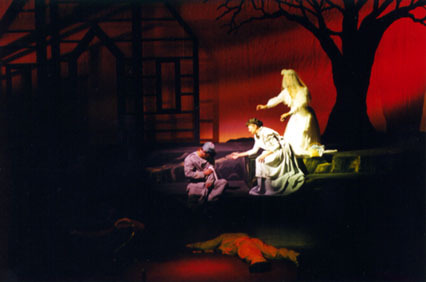 Jason Crossway, Charlotte Dobyns and Kelly Rector. 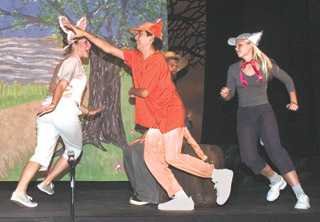 Scene from The Wonderful Adventures of Brer Rabbit, Beaufort Gazette 7-28-2000.